Came back home and found a package addressed to Audrey Ooi/Tiah wtf. Look what I found inside! 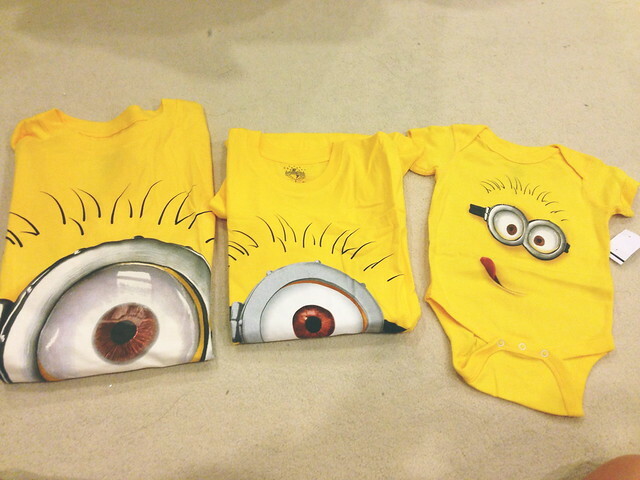 Minion shirts for us! Big one is for Fatty (ahem), middle one for me and onesie for Fighter. HAHAHAHA CUTE UNTIL WANNA DIE. She said she got them from Universal Studios (the Florida one) so if you wanna buy you can go there (dunno if the Singapore one has them though). More onesies! 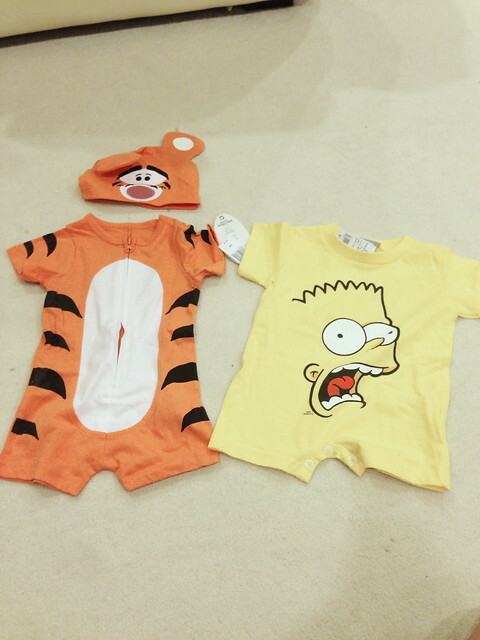 One is a Tigger, the other is Bart. Babies hats are so cute they should be illegal wtf. I’m a shoe girl, and it looks like Fighter is going to be a hat baby wtf. Cos Fatty loves hats on babies also I can foresee him buying a lot of beanies and caps hahaha. Middle is a Japanese picture book about weddings and marriage. She bought it when we were in Kyoto (like 6-7 years ago WTF) at which point I wasn’t even sure if I would ever get married wtf. She kept it for six years and only brought it out for my wedding last year *tears. But she forgot to bring it with her wtf and now only sent to me. Thank you Auntie Angela! Fighter says he’ll come visit you when he can control himself from crying on airplanes wtf. Awww…this post reminds me of my soulmate (BFF) too! =’) Can’t wait to see fighter in all these cute outfits! nnYou cry watching HIMYM?! Me too!!! LOL I thought i was the only one. omggg where to get those minionssss I wantt!!! There should be more considerate parents like you! So many babies crying on airplane and disturb others T_T *off topic wtf*nnAnyway it’s really lucky to have found your soulmate. You are blessed! :’)nnPS: Can’t wait to see fighters in the tigers outfit!!!!!!!!! hahaha no la because i complain so much about crying babies myself, i cannot be a hypocrite and do the same thing! haha in months to come!